The company ELLI F.LLI has operating bases and industrial settlements in Giussano, nearby Milan and Monza, in the middle of the �Brianza mobiliera�, where it carries out the planning and the production of wood-made furniture. The company is the successful result of the long history, the experiences, the hard work and the best ideas of its staff, and is nowadays a leading player of the �Made in Italy� on the worldwide furniture panorama. 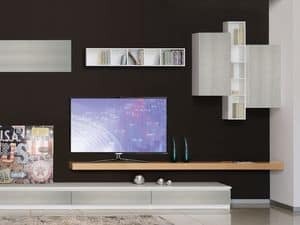 The production of the company is currently named �Delo Collection� and proposes a wide range of options, including furnishing systems and accessories for the whole house: bookcases, shelves, beds, wardrobes, children rooms, dining and desk tables and complements. Regarding its sales network Delo relies only on specialized and authorized customers: Delo wants to be sure that its products do satisfy the final user the best way. Delo official dealers, are highly professional and expert, give a really complete service: inspection of the site, measuring, projecting the compositions judged most suitable to the considered room, recommending the finishes, colours, fashion tastes, more fitting to the architectonic situation. They also take care of the set up of cuts to measure, closing bands, eventual safety fixing to the walls; finally they follow each step of the final deliver, taking extremely responsible care, thanks to their skillfulness, experience, precision and liability. They are also positive actors of the efficient after market assistance. 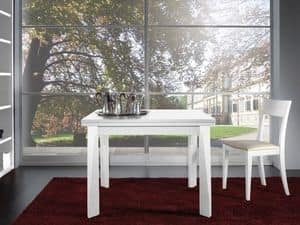 The company has always believed in the search for long durability and quality in furniture by upgrading its products in keeping the pace with all what is excellent in present-day lifestyle trends, sustainability ethics and techniques. 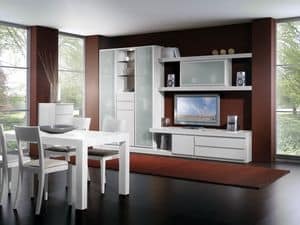 The core products furnish night rooms, living rooms and children rooms; they consist of wardrobes, beds, book-cases, cabinets, tables, chairs and complements. 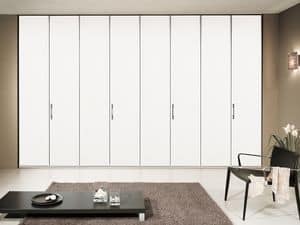 The inside structural parts of wardrobes and book-cases are strong and long lasting because they are projected again like upon a time, with �tamburato� structures, that means hinges screws working within massive wood. In addition, the wood inside the structures is massive fir coming from forests certified as managed in eco sustainable way (M.C.F.- F.S.C. � P.E.F.C.). Delo�s wide creation range, carries with it the design idea of a �comfortable house� with stylistically well-matched component parts. 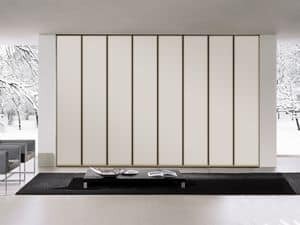 The extraordinary modularity of Delo�s versatile systems offers different styles and large-scale proposals suitable to each architectural situation and tastes. Delo in facts uses its know-how and plants in the complementary activity of contract, for large residential and commercial projects. The company has been worldwide involved in realizations of the highest standard, like about hundreds of bed-room furniture, wardrobes and furnishing supplies for hotels, offices, libraries and students rooms.